I can shed some light on this Southampton Atlantean it was almost brand new when it came to Plymouth it stayed for over a month on mainly engineering and mechanical trials as a comparison for things like fuel consumption and breaks, gearboxes, transmissions etc it was acting as a Leyland demonstrator in effect though was owned by SCT its number 272 didn't clash with any Citybus numbers at the time so that number was retained for its stay. It was often used on Plympton and Whitleigh/Southway services. It did however leave a lasting mark in Plymouth after its stay new bonnet catches were retro fitted to all roe and east lancs atlanteans some still in evidence on the buses in the PCT preservation group now. Other demonstrators used at the time were WYPTE/Leyland Demonstrator UWW 11X, Volvo Ailsa Marshall YAU 128Y from Derby, Volvo Citybus demonstrator A308 RSU and Northern General mk2 metrobus UTN508Y i believe could have been 510y ? which is now in preservation. On the back of these we got 172-4 TTT 172-4X and 175/6 B175/6VDV -for an added update 176 has been withdrawn with a ceased engine and will not run again. This was July/August 1983 and while 272 was in Plymouth, Plymouth's 173 - TTT 173X was in Southampton. 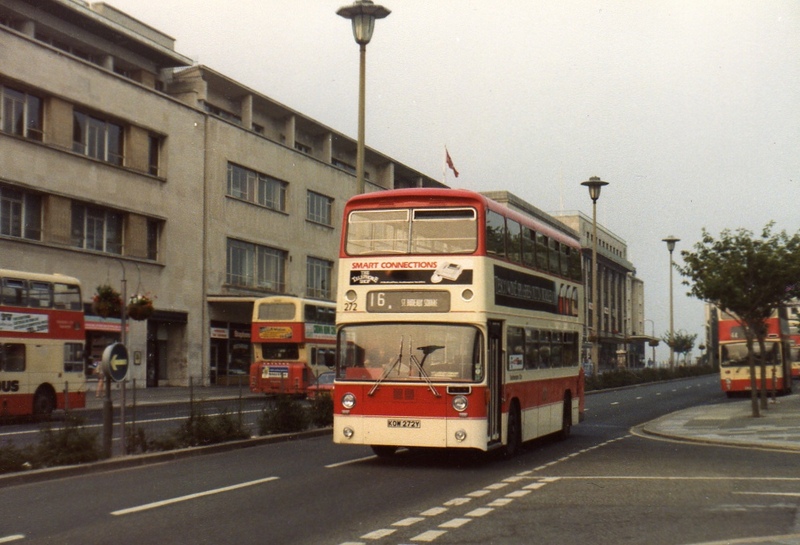 At the time Southampton ran nothing but East Lancs bodied Atlanteans and were considering future orders so presumably 173 was trialling the Olympian/East Lancs combo. In the event 3 Olympians of various specifications & a Dennis Dominator were bought in 1984 for "in-service" evaluation.